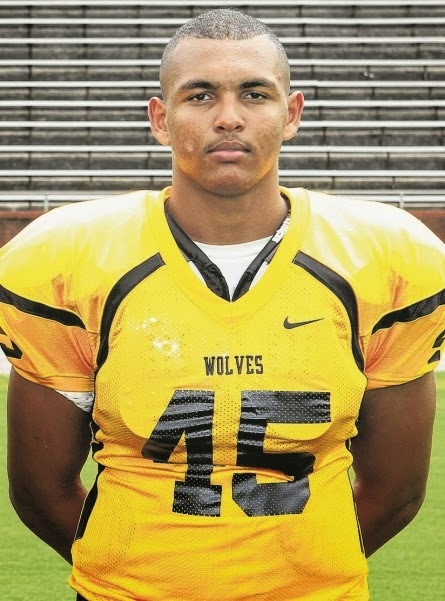 On Monday night, 2015 Defensive End Darian Roseboro decommited from Michigan via twitter. RT "@DarianRoseboro: I have officially decommitted from the university of Michigan"
After a horrible start to the season, and the possibility of Brady Hoke losing his job, Darian Roseboro has decided to open up his recruitment again. Although he had only been committed to Michigan for one month exactly, Darian had visited North Carolina State on an official visit last weekend, without notifying the coaching staff. Darian will surely have his pick of what school he wants to attend now, as he holds a very impressive scholarship offer list including; Notre Dame, Oklahoma, Tennessee, Alabama, and LSU. Roseboro is currently ranked as the #6 Strong Side Defensive End, and #163 overall in the nation according to 24/7. Darian also becomes the fourth member of Michigan's 2015 class to decommit following; WR George Campbell, RB Damien Harris, and DB Shaun Crawford. Look for the coaching staff to turn up their attention to landing 5* Defensive End Keisean Lucier-South, who is the last real prospect with high interest in Michigan. KLS will be in Ann Arbor on October 11th for the Penn State game.